Thanks to a stroke of good fortune, Thomson Medical Centre delivered Singapore’s first SG50 baby – and TMC’s first Malay baby of the year – on 1 January 2015. The golden girls who graced Singapore’s golden jubilee were Chloe Tham, who was born at the stroke of midnight, and Nur Luna Aqilah, who was born at 9.10am. Born two days ahead of her expected due date, baby Chloe is the first child of retail customer service executive Keith Tham and banking customer service assistant Daphne Lian, both 29. 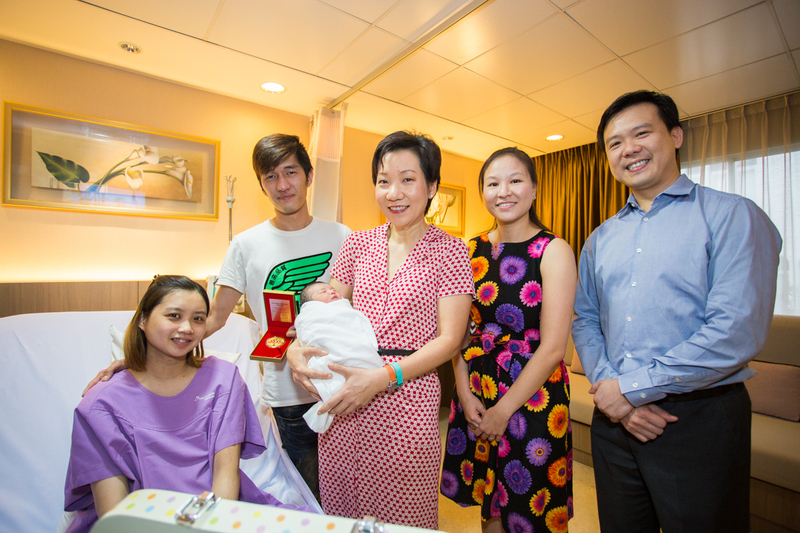 Being the nation’s first baby in 2015, Chloe received the SG50 Baby Jubilee Gift from Grace Fu, Minister in the Prime Minister’s Office. All Thomson babies born in 2015 will receive not one but four baby gifts – a Thomson SG50 Jubilee Joy Pack, the Singapore Government’s SG50 Baby Jubilee Gift (for Singapore citizens only), a POSB Smiley Gift Bag and a Thomson Mummy Discharge Bag. To the parents of baby Nur Luna Aqilah – Mohd Ikhsan Sidek, 29 and Isnaine Muhd Salleh, 33 – the various goodies for SG50 babies were like “a birthday celebration”. Thomson Medical is proud to join Singapore in celebrating SG50 with parents-to-be.